Dan is a co-founder and manager of StreetLevel Investments. He was previously with Archon Group (wholly owned by Goldman Sachs) where he was Director of Retail Investments for 6 years and directed the partial disposition of a nearly 4,000,000 square foot portfolio of large, multi-anchored power centers. Dan served as Senior Vice President at Staubach Retail and was consistently recognized as a Top Producing Retail Broker specializing in Retailer Representation. He spent the first 10 years of his real estate career with the Trammell Crow Company as a project development partner, marketing principal and leasing agent. Dan received his law degree from Southern Methodist University School of Law and Bachelor of Arts from the University of Nebraska-Lincoln. 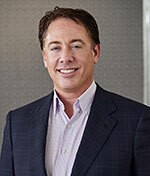 He is a member of the Texas Bar Association and actively involved with ICSC and NTCAR. 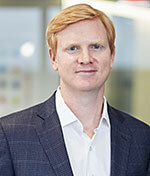 Adam is a co-founder and manager of StreetLevel Investments. He brings over 19 years of diverse retail experience ranging from multi-tenant acquisitions to developments with tenants such as Academy, Brinker, Buffalo Wild Wings, McDonald’s, Shoe Carnival, Firestone, and Del Taco. 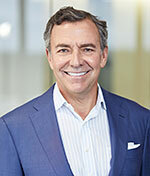 He was previously Principal with Endeavor Real Estate Group where his focus was retail development. For 13 years, Adam was Executive Vice President with Staubach Retail and coordinated build-to-suit programs for The Gap and Old Navy. Adam received a Masters in Business Administration from Tulane University and is active in Solving the Puzzle of SIDS Charity as well as C.A.R.E. Brian is a co-founder and manager of StreetLevel Investments. For 31 years, Brian has worked with retailers such as JCPenney, Target, Staples, Ross Stores and Barnes & Noble in all facets of their real estate needs. 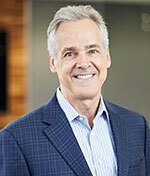 Brian was previously Principal with Endeavor Real Estate Group where his focus was retail development. For 15 years Brian served as Executive Vice President with Staubach Retail and earned many accolades, including National Top Producer, Most Valuable Player and the Staubach Chairman’s Award. Brian received a Bachelor of Business Administration from Southern Methodist University and is a member of Salesmanship Club of Dallas, SMU Alumni Board, as well as Co-Founder of Solving the Puzzle of SIDS Charity. Brian is experienced in asset underwriting, due diligence, project development and asset management. He has a Masters in Business Administration from Southern Methodist University with a concentration in Real Estate and Finance. 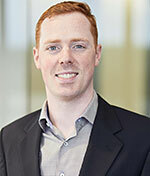 Prior to joining StreetLevel, Brian worked in project development for two multifamily developers for several years. 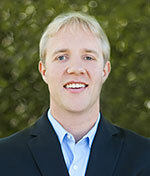 He received a Bachelor of Science from the University of Texas and is actively involved with TREC and ICSC. 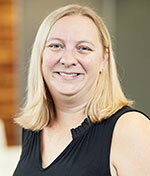 Anne has over 10 years of experience in due diligence/entitlements, project development and construction management. She received a Masters of Real Estate and Land Development from Texas A&M University and a Bachelor of Arts in Urban & Regional Planning from the University of Illinois. Prior to joining StreetLevel, Anne was the Development Manager for a CVS/pharmacy preferred developer in the Midwest. Justin is experienced in due diligence/entitlements, financial analysis, asset valuation, project development, construction management and transaction management. While at StreetLevel, Justin has focused on new store development and high velocity roll-out programs for several regional and national single-tenant users. 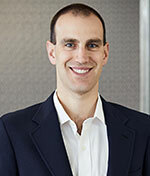 Prior to joining StreetLevel, Justin worked at Houlihan Lokey and Capview Partners. His experience includes financial valuation, transaction and advisory services, and real estate acquisition and disposition services. Justin received a Bachelor of Administration in Finance and Marketing from Texas A&M University. He is a licensed real estate salesperson in the state of Texas and actively involved with TREC. 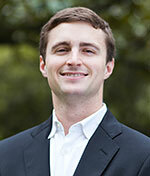 Nick provides financial analysis, underwriting, and asset valuation. Prior to joining StreetLevel, Nick worked at Cypress Equities for two years and held an internship with SRS Real Estate Partners. His experience includes financial valuation and lease analysis, and he is proficient in Argus. Nick received a Bachelor of Science in Economics from Rollins College. Brennan provides financial analysis, underwriting, and asset valuation. He held an internship with StreetLevel before joining full time in 2014. Brennan received a Bachelor of Science in Economics with Financial Applications from Southern Methodist University. Charlie provides financial analysis and underwriting support. Prior to joining StreetLevel, Charlie was an Analyst with Highland Development, a Boston-based developer and construction manager. In 2014, he graduated from The University of Notre Dame with a Business Administration degree in Finance.